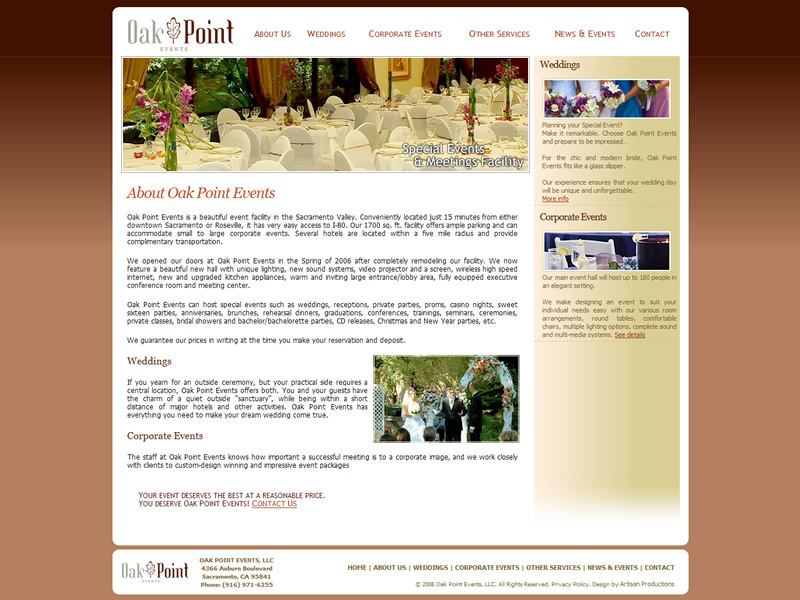 Oak Point Events, Inc specializes in special events, wedding receptions and corporate event services, with accommodations for small to very large parties, meetings, and seminars in Sacramento, CA. 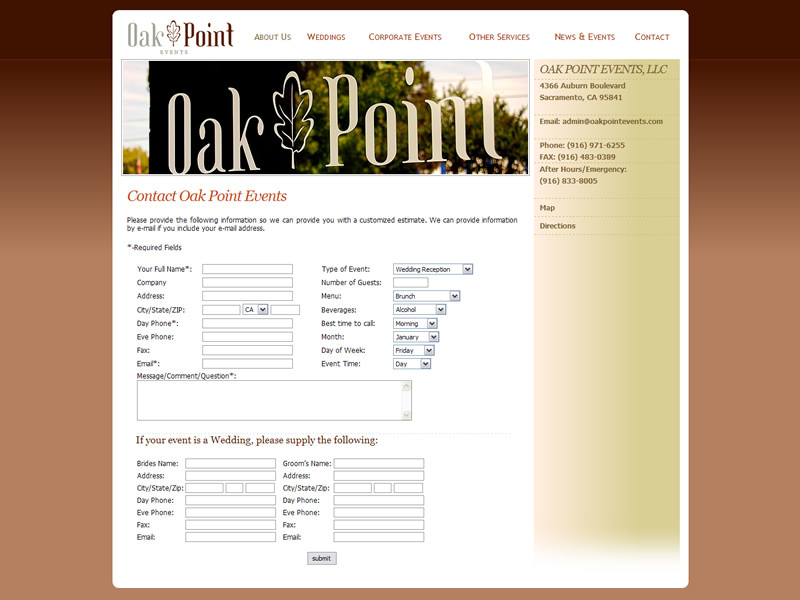 Whether you are planning an important meeting, a large conference, or the social event, Oak Point Events offers banquet and meeting facilities to make any event special. 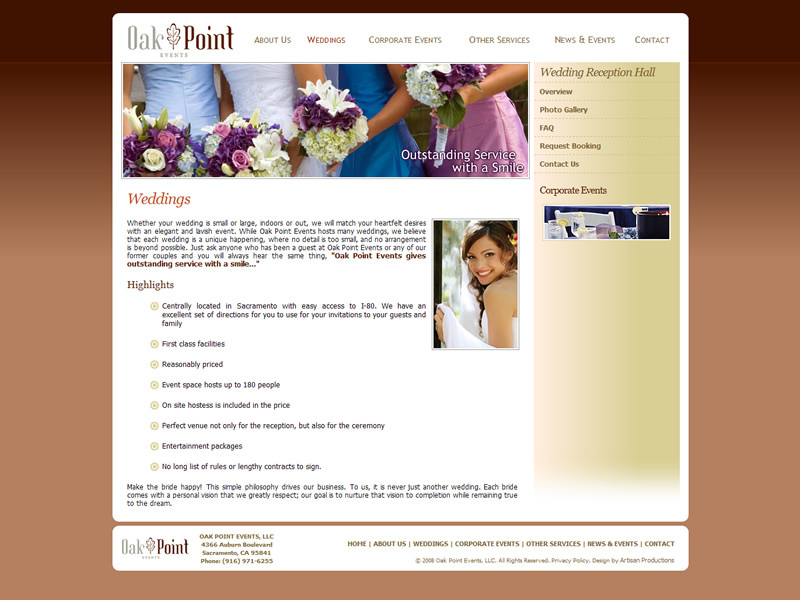 Task:Create a new, elegant design for a website with a custom flash header and dynamic news and events section, add interactive content and photographs. 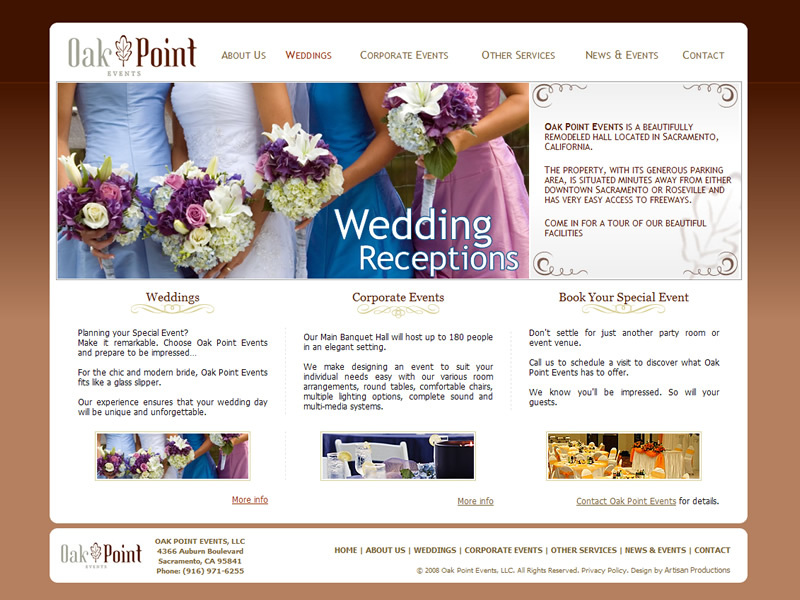 Do you need a website for Wedding Reception Hall or a Special Event Venue? Artisan Productions can help you start, grow or expand your business! 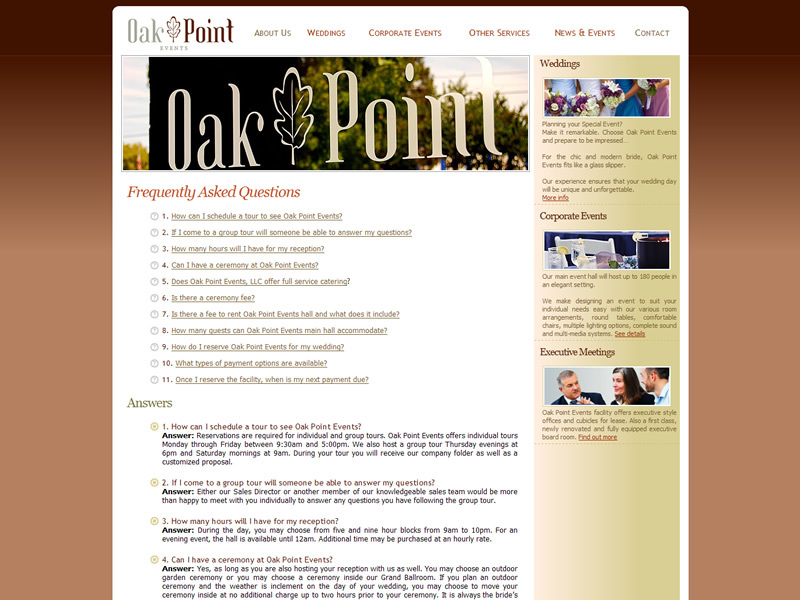 We create custom websites from scratch, to provide you with an unique website tailored to your needs generating organic local traffic. 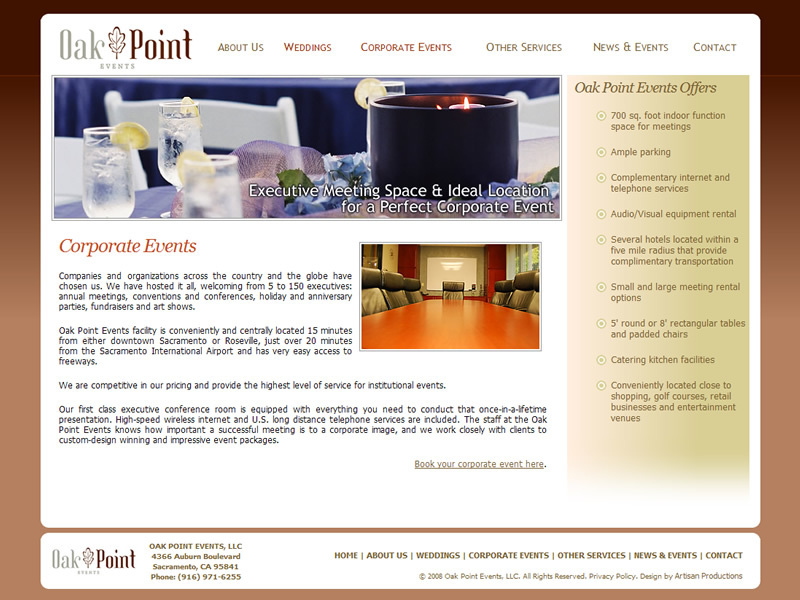 View rates for our special event venues website design services. 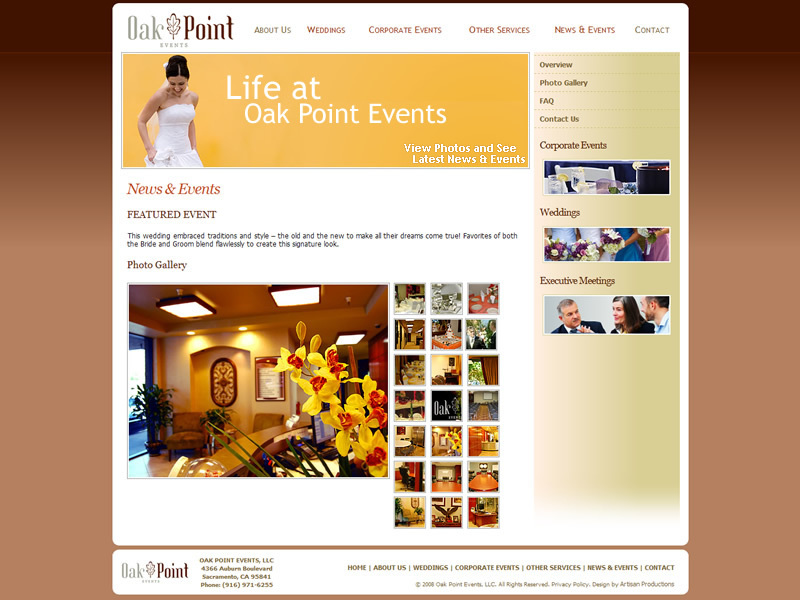 SOLUTION: Artisan Productions redesigned Oak Point Events website, took photographs to create a guest-tour of building's amenities. Dynamic News & Events section allows customer to add/remove an event on the fly from any computer with internet access with no special software needed.